Making my way up and down the winding Cape Breton roadway with coastal views of the Atlantic I had no idea what I would find at the end of the road. I knew my desired destination, Meat Cove, but I wasn’t quite sure if I would make it there in my little car. 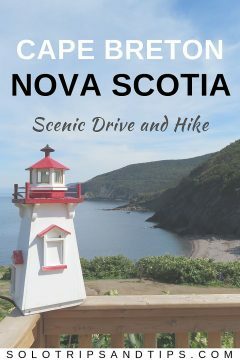 Meat Cove Cape Breton is off the beaten path for most tourists to Nova Scotia, who usually drive the Cabot Trail route. Google maps showed a dirt road for a stretch of the way, a few kilometers, but what condition would the road be in at this point in the season? Nothing ventured, nothing gained. I decided to check it out and at worst I would have to turn back if the road was impassable for my small car. 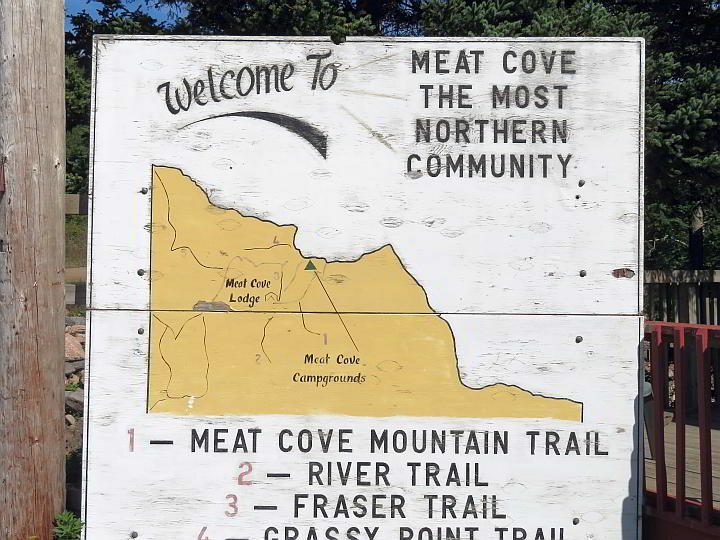 Meat Cove is the northernmost community on the island of Cape Breton in the province of Nova Scotia. Does that help? Probable not, so I’ve included a Google map for you. In addition to hiking trails and scenic drives you can also go kayaking at Meat Cove. 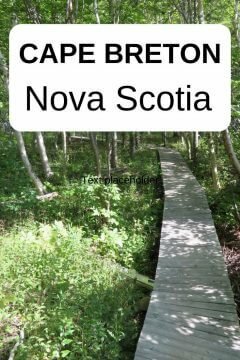 I enjoyed my first experience sea kayaking in Nova Scotia at Blue Rocks and I’m looking forward to trying some new places to go paddling in Cape Breton. The drive to Meat Cove is picturesque with a good portion of the trip overlooking the water. 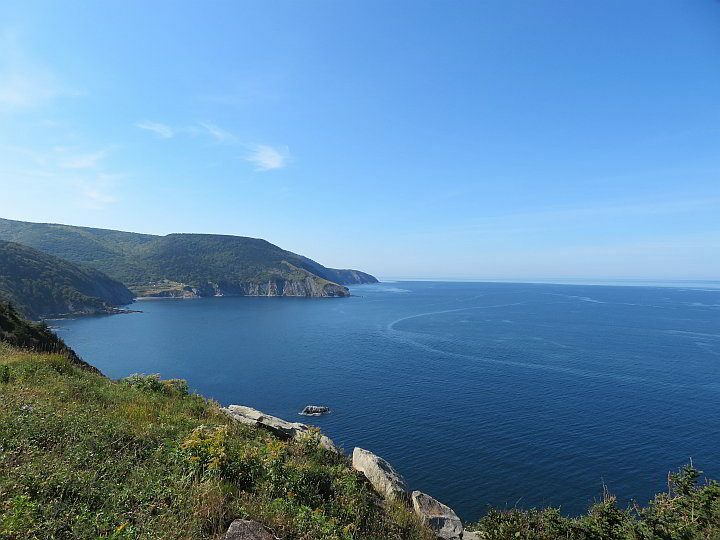 Cape Breton coastline is beautiful so any drive along the water is enjoyable in good weather. 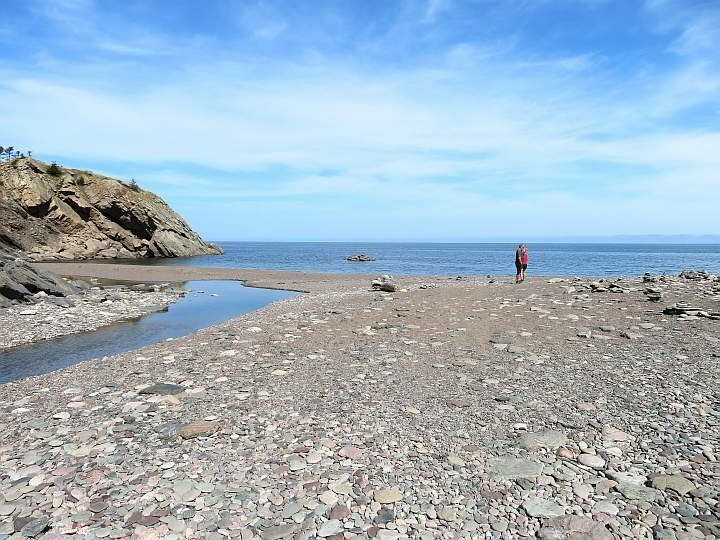 It takes about an hour to drive the 60 km (36 miles) from Ingonish to Meat Cove. Head northwest on the Cabot Trail and continue for about 32 km (20 miles) then slight right onto Bay St Lawrence Road for 15.4 km (9.5 miles). Take a very sharp left turn onto Meat Cove Road and continue for 13 km (8 miles) with the last 6 km or so being a gravel road. It takes about an hour to drive the 57 km (35 miles) from Pleasant Bay to Meat Cove. Drive south on Cabot Trail for 29 km (18 miles) then turn left onto Bay St Lawrence Road. 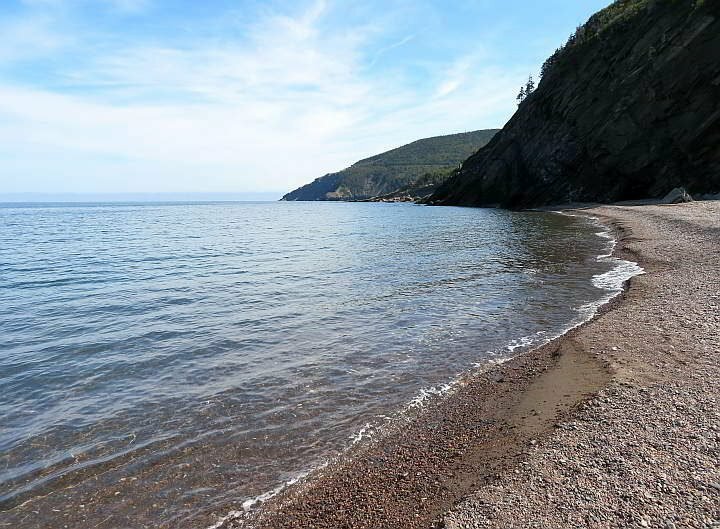 Continue for 15.4 km (9.5 miles) then take a very sharp left turn onto Meat Cove Road and continue for 13 km (8 miles) with the last 6 km or so being a gravel road. It turned out the dirt road was in decent shape and after around 5 km (3 miles) I stopped across from a small building with a deck. A cafe now closed in mid-September after the summer tourist rush. Getting out to take a few photos and look around it felt good to stretch my legs again. 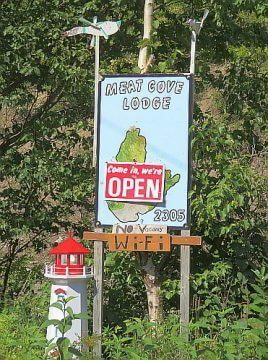 Across the road I noticed a no vacancy sign for the Meat Cove Lodge. A car stopped next to me, turned around, and drove back up the road. Then another car stopped just across a small wooden bridge, so I got in my car and drove across to see if I could find out why they stopped. Perhaps there was something of interest to explore in the area? 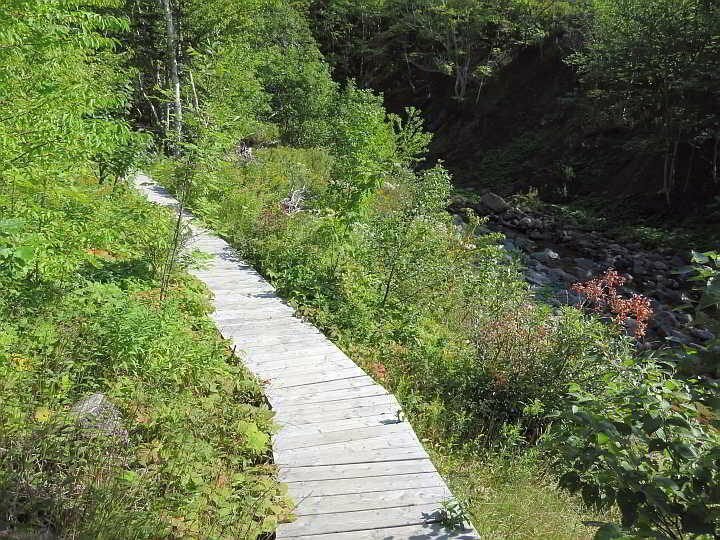 The sign by the cafe indicated several hiking trails around Meat Cove. Across the bridge I parked by a small sign that read “Boardwalk” and watched the couple from the other vehicle head down a path disappearing into the brush and trees. There was no indication for the length of the boardwalk hike but I figured it couldn’t be too far so I didn’t bother changing into my hiking shoes. Walking along the weathered boards, my sandals catching on the edges, I kept an eye on my footing but soon fell into an even pace. Wondering if this trail would turn into a loop back to where I parked or maybe connect to another portion of the highway I kept going. Crossing a creek then walking alongside it for the rest of the hike. Before long I came to a clearing at the end of the trail with a wonderful surprise, I saw a small beach and the ocean waves only a short distance away. Walking to the beach in anticipation of the view I couldn’t help but smile. Sand turned to beach stones and the beautiful sound they make when shuffled around under one’s footsteps. Looking up from the beach I could see my desired destination, Meat Cove presented a portion of itself atop the cliff overlooking this small slip of coastal beauty. Perfect! 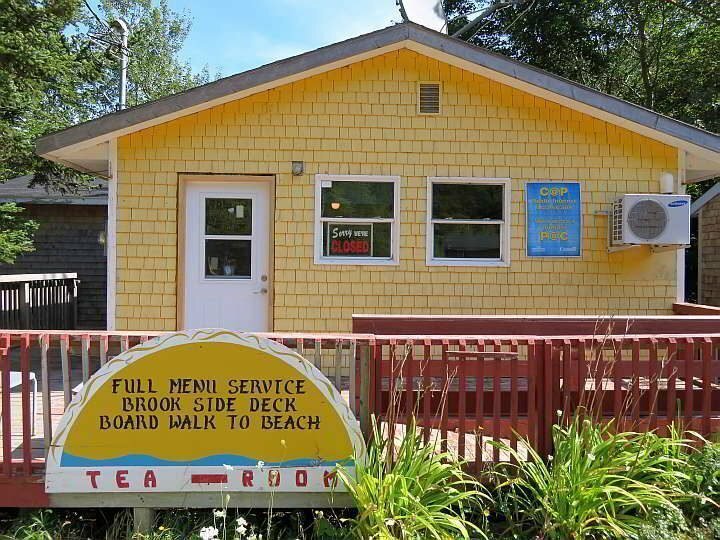 Now reassured that I would get to enjoy lunch at the Chowder Hut with stunning views from the patio of the Cape Breton coastline, I enjoyed watching the waves roll in. After a few minutes the couple from the boardwalk hike walked towards my direction. Exchanging salutations, I thanked them for stopping at the trailhead, otherwise I might not have noticed it. 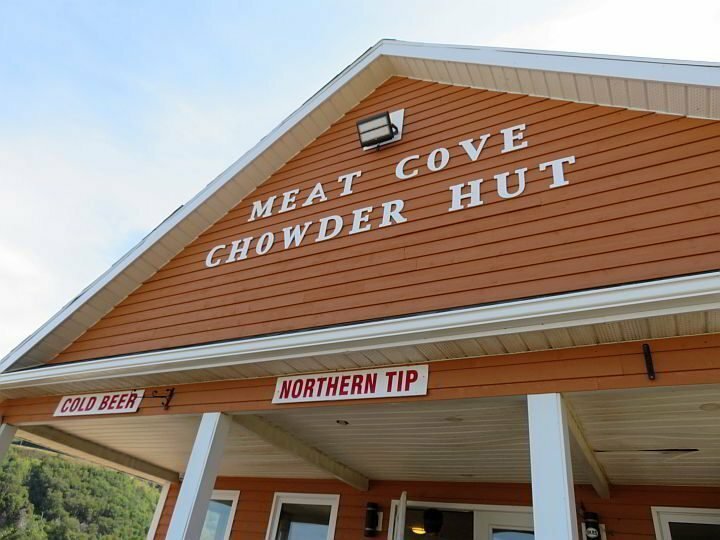 Meat Cove Chowder Hut is the place for cold beer, seafood, burgers, etc. Later I found out that the Meat Cove community experienced severe flooding a few years ago and the previous board walk washed away along with bridges, campers, and various structures. Because so many bridges washed away there was no longer access to Meat Cove via the only road to the village. 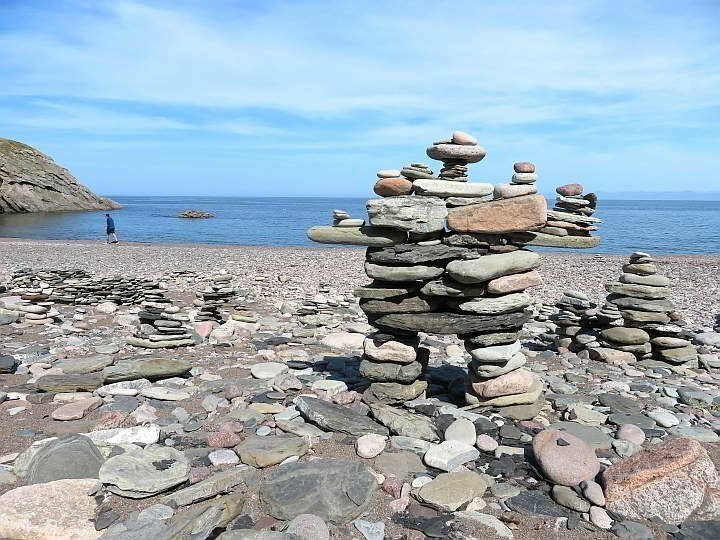 The flood took place on August 21 and 22 of 2010 and although it devastated the area the people of Meat Cove took care of the stranded tourists in grand Cape Breton style. The small restaurants prepared and served meals to the tourists at no charge. Folks with boats helped transport the tourists to nearby Bay Saint Lawrence. A community devastated by flooding used their time and resources to take care of the needs of others. Suddenly hungry and realizing I still had a jaunt back to my car I left the beach behind. The unpaved road to Meat Cove turned out okay for my little sedan and I found a parking spot in the small lot filled with an assortment of vehicles from motorcycles to small campers and everything in between. Next to the Chowder Hut here’s a small campground with stunning coastline views including the Meat Cove beach. The Chowder Hut deck looked inviting on a sunny summer day and there was one table available. Inside I ordered a half-dozen scallops and a Black Angus IPA beer. The chowder would be a great choice as well according to diners I spoke with during my visit. A couple of guys from Quebec noticed my Texas plates and we fell into conversation. When they departed, I took up their vacant and fully shaded table seeking relief from the hot afternoon sun. 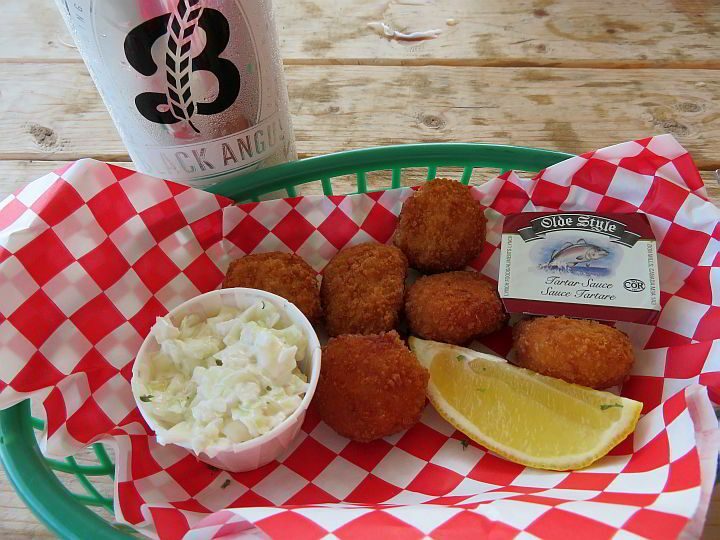 The Chowder Hut deck has a beautiful view overlooking the coastline with the campground and the beach. The campground site provides an idyllic setting for travelers to Cape Breton. 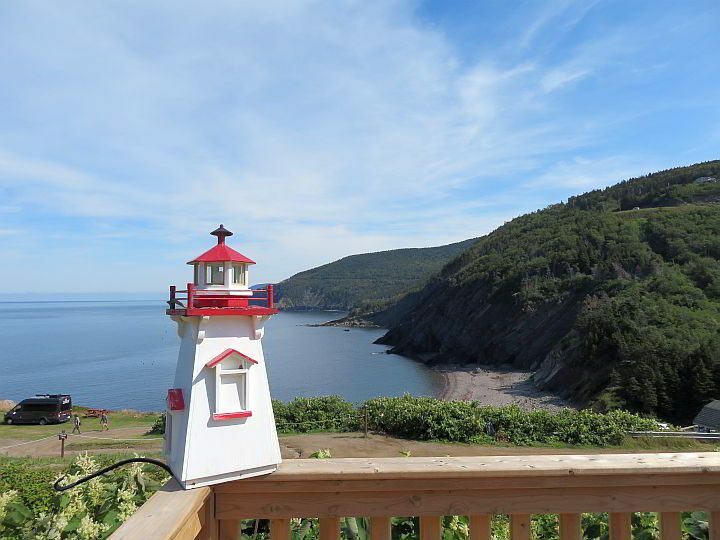 With views of the water and a short walk down to Meat Cove Beach it’s the perfect place to stop for a few nights. Cabins are $80 and reservations begin on June 1st. About 1 km (.6 mile) before the Meat Cove Chowder Hut and campground. On Google Maps look for Meat Cove Welcome Centre/Cafe. The trailhead is across the bridge and on the right side of the road. Look for the small ‘Boardwalk’ sign. Allow about 45 minutes round trip for the hike and some time at the beach.